This year I decided to embrace changes; I decided to be open to the idea of trying new things out and learn my likes and dislikes from such experiences. That being said, one evening I decided to shake things off and move one of our typical dinners from the dining room into our living room couch. 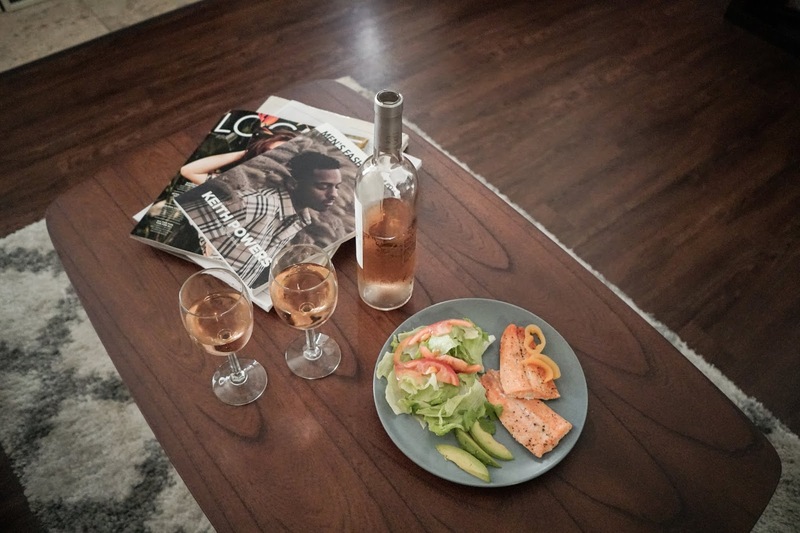 My wife and I prepared a delicious salmon along with a salad. While we prepared our meal we decided to open a bottle of Wines of Provence rosé. 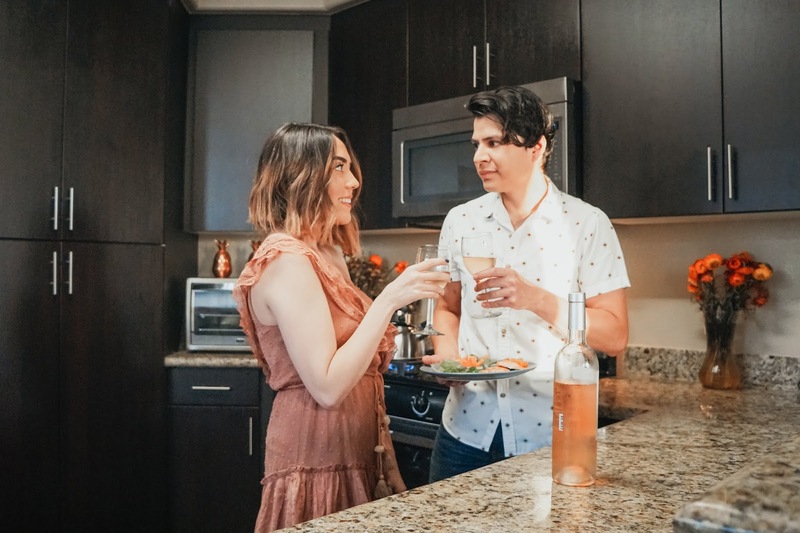 Sipping on a glass of rosé while you prepare your meal really gets you in the mood to sit back, relax, and enjoy having a conversation with you family or friends. As we prepared our meal and we drank some rosé, Esmirna and I shared our opinions of Wines of Provence. One of the many things that we agreed upon was the fact that this rosé is the perfect wine for both men and women! Compared to red or white Wine; rosé has the right, subtle flavor and overall has a refreshing, dry taste on the palate. Wines of Provence is well known for its premium rosé, so much so that it is known as the gold standard of rosé around the globe. 89% of all wine produced in the three Wines of Provence appellations (Côtes de Provence, Coteaux d’Aix-en-Provence and Coteaux Varois en Provence) is rosé and almost half of the wine that is exported from the region goes directly to the United States. Have you asked yourself how Wines of Provence makes its famous rosé? Many people believe that the wine is a mix of both red and white wine, when in reality it is made using either skin maceration or direct pressing methods. These two unique methods result in a vibrant pink palette r that we’ve all come to love. Rosé is actually the most difficult of all three wines to make, largely due to the fact that there is special attention given to the aroma, color, and overall taste. 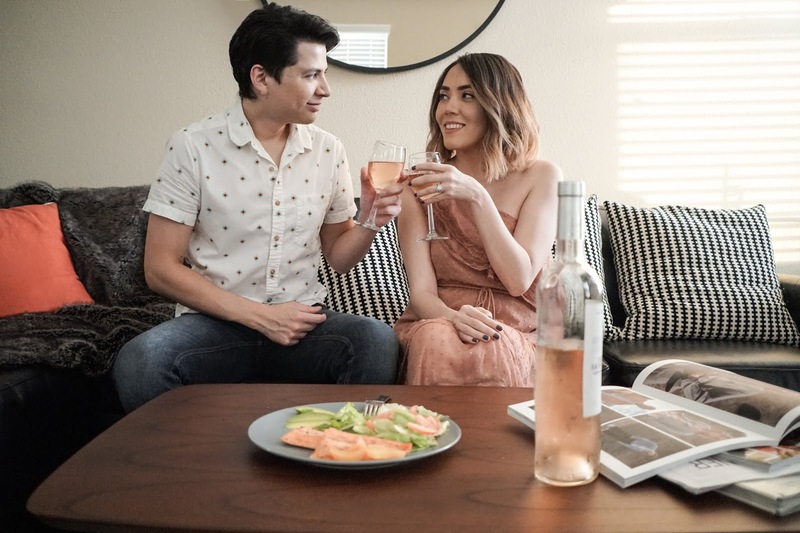 Once my wife and I finished cooking our salmon, we headed over to the living room and accompanied our meal with another glass of rosé. 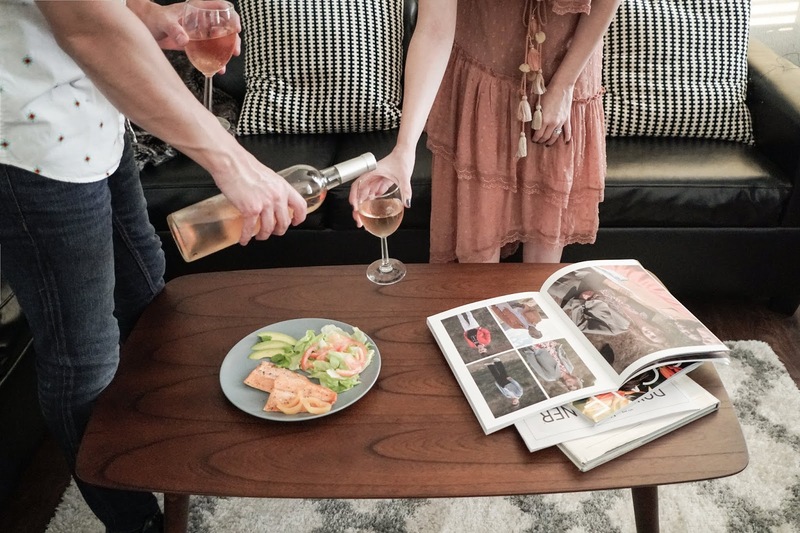 Pairing up Wines of Provence rosé with salmon has got to be one of the best pairings/combos I have ever tasted! After taking a bit of the salmon, you take a sip of rosé and you savor the oily fresh fish.